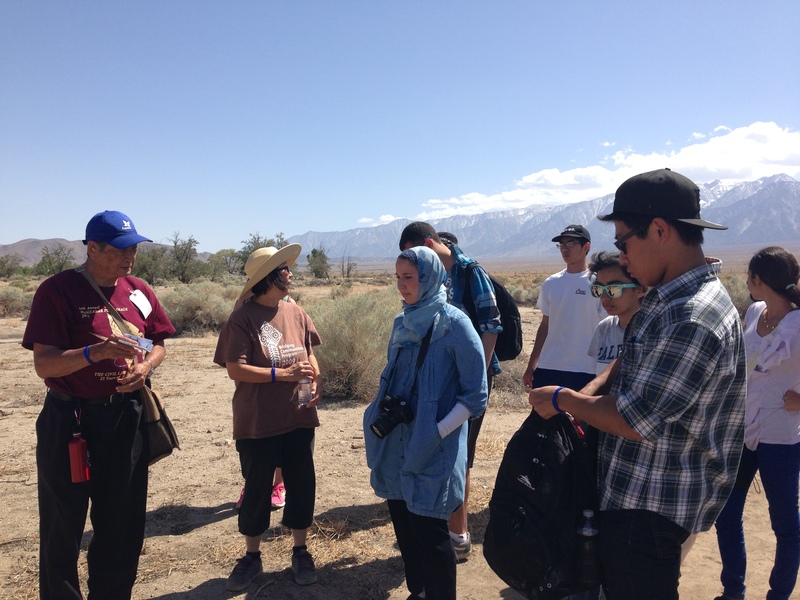 Programs | JACL PSW in Blogland! The 2012 Collegiate Japanese American Internship program is running full speed with 5 passionate and hardworking interns placed at APIsCAN, OCAPICA, and APALC this year. They are doing many hands-on advocacy and outreach work such as researching API funders and doing voter mobilization for the November elections. Three of the interns are conducting phone banking sessions every week to speak directly with potential API voters on issues that matter to them. Their work impacts the community in positive ways and their energy is vital towards obtaining social justice. These great interns are putting together a 1 Day Conference as part of their Program. Please join us as we learn about how youth can make a difference in their post-college communities. “How do everyday professionals serve as strong advocates for the Asian American and Pacific Islander (AAPI) communities? And how can you likewise utilize your technical and professional skills to empower the AAPI community when you enter the post-college world? I can’t believe it’s already week 8 of Katarou Histories, inter-generational oral history program, held at the San Fernando Valley’s Japanese American Community Center. This inaugural program has shown that a multi-generational program is possible and that dialogue can happen and community can develop across ages. Throughout the program, participants have gotten to really know each other’s histories and how their Japanese American family histories fits into the larger Asian Pacific Islander history, become more familiar with their intersecting identities of race, ethnicity, gender, class, ability, nationality, and have learned how to use this knowledge to move forward and take action for the larger API community. In college? Interested in API issues? Looking for an internship? I was in college not too long ago. Two years ago to be exact. And I wish I knew about opportunities like this one to get myself more involved with the Asian American and Pacific Islander community. This regret and a desire to reach a wider audience is partly why I am so passionate about this program that I am now working on– Collegiate Japanese American Internship or CJAI. Traci Ishigo, one of our beloved student activists from San Fernando Valley, has put together an amazing day full of workshops, panels, discussions, and food for the Japanese American community in the valley. Come out to the San Fernando Valley JACC (yes it will be hot in the valley, but the room will be cool!) 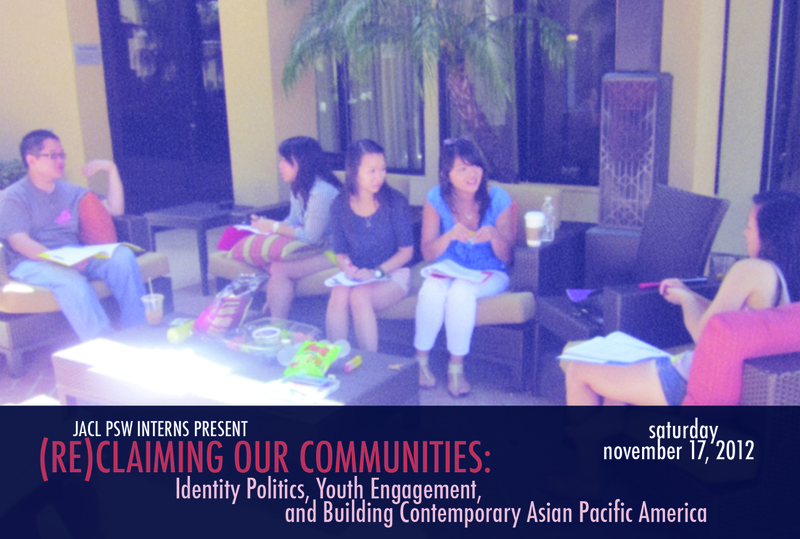 to learn about how your identity fits into the larger Asian American identities. Do you want to know how you can be an Asian American activist from your home, in your school, in your workplace? You’ve found the right place. We’ll see you there!! The brand new inter-generational oral history program, Katarou Histories, is off to a great start! 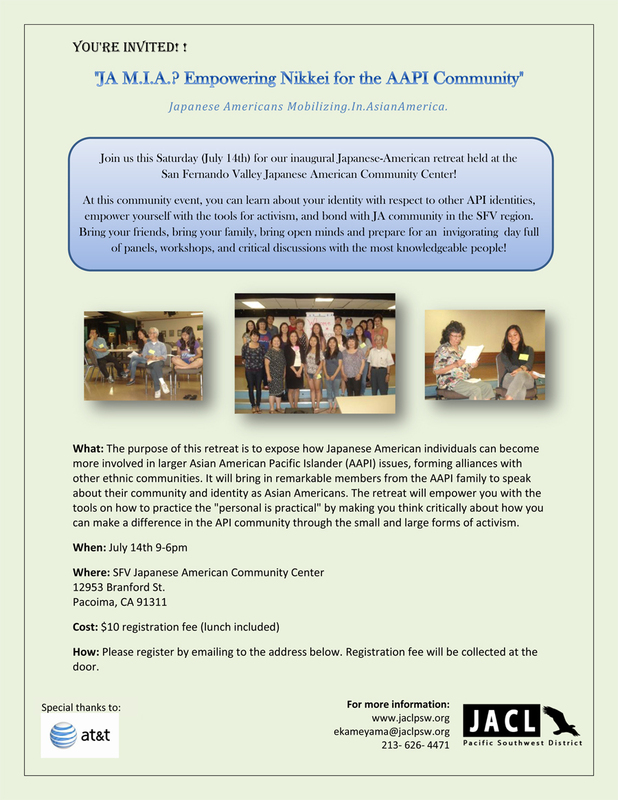 On June 14th, as students were finishing up classes and finals and getting ready for summer, 14 participants gathered on the hot evening at San Fernando Valley’s Japanese American Community Center for their first session of the program. On the first day of the program, 8 high school and college youth as well as 6 adults (ages 40+~89! ), kibei-nisei, sansei, yonsei, gosei, and shin-issei came together in one space to discuss and share their identity as Japanese-Americans. As they listened to others’ stories and defining moments in their lives that brought them to this program, participants were able to connect with one another despite the age differences. My personal favorite moment of the day was when the oldest member of our program shared memories of his female friends playing with hagoita (new year’s badminton-like game) in kimonos. He said, “the girls had to hold their kimono sleeves so that it wouldn’t get in the way when they hit the birdie!” Can you imagine having to play badminton in a tight kimono with long sleeves and wearing a geta on your feet?! I thought it was such a cute memory to share with us. I am so excited to see this program develop! It’s our first EVER multi-generational program and it looks like it’ll be a great success. This week’s session is on API/JA history where they’ll place their own family histories into the larger API narrative for a non-traditional way of learning our communities histories! Will keep you all updated on the sessions so check back soon! Seeking Applicants for our new oral history program in San Fernando Valley! Have you ever heard your grandmother talk about her childhood memories? Have you ever wanted to share your family history? Well, here is your chance! High-schoolers, college students and adults are highly encouraged to apply now for our new program!! 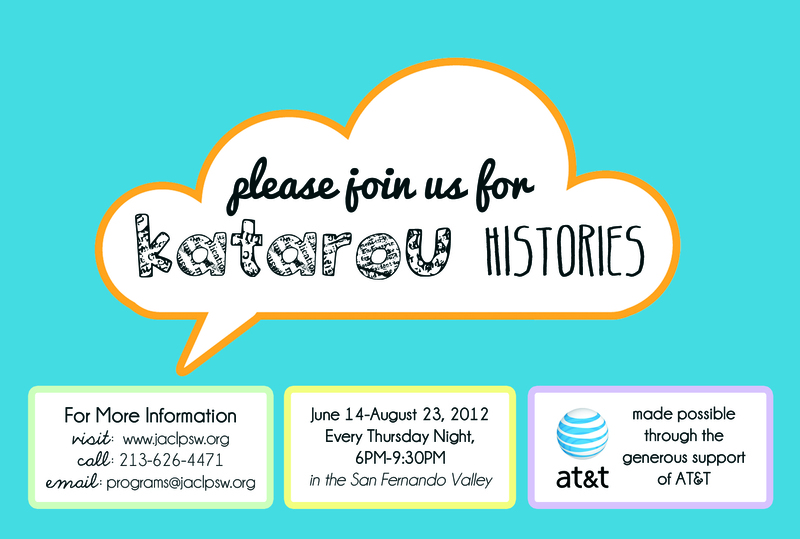 JACL PSW, SFV JACL, and the SFV Japanese American Community Center (JACC) is partnering up to run this new multi-generational oral history program called “Katarou Histories” for this upcoming summer. “Katarou” means “lets share stories” and this is the purpose of this program– to tell stories across generations. Now Accepting Applications for the Mike Masaoka Fellowship! 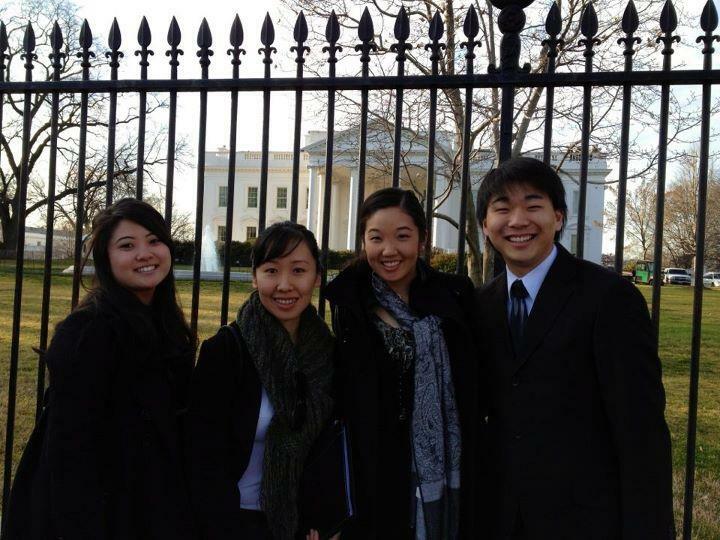 JACL is now accepting applications for the 2012-2013 JACL Mike M. Masaoka Congressional Fellowship. A couple of weeks ago, I had the privilege and honor of attending the JACL/OCA Leadership Conference held in Washington DC. This was an amazing opportunity for me to meet other activist and community organizers, learn about pertinent issues affecting the AAPI community and discuss proactive ways to create change for the future.